Summary: C/C++ Programmers time, date, and cal lib. Requires: An IBM compatible 386 PC. td.lib v2 is a small time and date library for C/C++ programmers. It contains practical time and date functions that overcome the limitations of the ANSI standard functions that ship with Borland, and Microsoft C++ compilers. Unlike the standard functions, td.lib allows the programmer to perform a variety of calculations using dates and times from Jan. 1, 1 A.D. to Dec. 31, 32766 and the ability to format and print the output of such calculations using ANSI format specifiers. Designed with the beginning programmer in mind, td.lib is easy to use and simplifies the process of coding time/date routines. The library is fully ANSI compliant and can be used with any standard C/C++ compiler. Algomath-Library, Beta-Bugfix-Release 0.91, 3.1998 - The Algomath-library provides a handful of mathematical algorithms in C. The library is tested with DJGPP v2 C-compiler although it should work on any other system. Bitmap to Source Converter is a command line utility that allows developers to convert 256 color BMP files to C/C++ source files which allow graphics to be included in the final program rather than loaded dynamically at runtime. making for a more professional finished product. Bullet 2.5 is a thread-safe, multi-process capable database engine toolkit for OS/2, DOSX32 (MS-DOS 32-bit), and Win32 (Win95, WinNT, and Win32s). It provides pre-built and tested access methods to data and index files for application programmers. Most any compiler can be used; both LIB and DLL are included (Rexx interface, too). Bullet is compact, efficient, and very fast. It can be configured to use custom key-build routines, sort-compare functions, and expression parsers to extend the built-in functionality, and programmer-supplied OS API calls to replace the internal ones. The standard data format is DBF (dBASE 3+ and later). The supported memo format is DBT (dBASE 4 and later, w/auto-reuse). Index-only support can be enabled and with this any data file format may be used (the data maintained by the programmer then). The DBF standard may be extended by using binary field values and fields larger than 255 bytes, and up to 1024 fields. Index files are NLS-compatible (six included data types, with 10 programmer-specified data types also available) and use an efficient b-tree structure. Files may be any size supported by the OS, up to 4GB. Up to 1024 files may be opened and in use by any one process, with any number of processes active. Includes all supported platforms in the single package. CALENDAR.H is the source for a ANSI C header for calendar calculations based on the Julian Day Number and valid for the Gregorian Calendar. All functions use only integers (no float) and require a single pass (no iteration, no recursion) and are improvements on several such functions already published. The calendar's day zero can be defined by the user; several origins are pre-defined. Functions included perform: leapyear (macro), validation of a date, date to day number, day number to date, weekday, days between dates, new date given a date and an offset in days, Easter date (two algorithms), Easter-related holydays such as Mardi Gras and Corpo de Deus (Portugal), date to sortable date format, weekday and month names in several languages. The source was developed with TC 2.0 and tested with TC 1.0, TC 3.0 and Power C under MS-DOS 6.00 and is expected to be easily ported to any ANSI C compiler. Fully documented. related items in C language of interest to scientists and engineers. supported here and by the GNU C compiler. Elementary functions (log, exp, sin, cos). Gamma, psi, dilograithm, Airy, Bessel, hypergeometric, Struve. Complete and incomplete elliptic functions. Planck radiation. Exponential, sine & cosine, hyperbolic, Fresnel integrals. Complex arithmetic and elementary functions. C++ class for the extended precision arithmetic. numbers. This program would be useful to beginning C/C++ programmers. Etc. The souce code is commented. is supported. Extensive "on-line" help of every function is included. calltree can be generated as HTML- and as RTF-file (Windows Help). Dbflib is a library of functions to allow access of dBase .DBF file structures from Borland C.
Shareware version includes only small memory model. Other memory model libraries are available by registering. Editor tools and controlled Value input. leaks are caught and so it aims for more stable program design. An add-on or code-base to your programs. Provides functions to display the Japanese kana and joyo-kanji in 320x400x256 on standard VGA. Allows string resources for programs to be prepared from standard JIS files with included program. Includes object code .LIB file and two demonstration programs using this library. allocation and 32-bit file access. Internal dllPower v3.02 is a powerful programming tool to enable Watcom C/C++32 users to use Windows NT style DLLs in their DOS-based applications. This is ideal for Game programmers who wish to use drivers for sound, graphics, devices, etc.. idllPower is a library you link into your application. dllPower v2.70 is also included as a free alternative to idllPower, however, it is an external loader and not a library you link in. Summary: Inside Microsoft C Journal source, Jan.
Summary: Inside Microsoft C Journal source, Feb. The command interpreter is a library (written in C) which allows the creation of programs that can accept commands given interactively by the user or programs that are sequences of commands. - the possibility to add new commands in a very easy way. sequences of commands, using loops and jumps. It is easy to glue several applications of the command interpreter. The command interpreter has been developed on Linux OS, and ported to MSDOS using DJGPP C compilers. It can manipulate complicated filenames as in Unix, using correspondance tables. The zip file contains the complete source code, a documentation and an application of the command interpreter. - Merge with special effects. The C-sources for POSIX-compatible locales for DOS, Windows 3.x, Win32. The small library provides the actual locale-dependent information according POSIX rules under DOS, Windows 3.x and Win32. The service is very similar on all three OS. No environment variables used (because it is not a general way under DOS/Windows). No additional databases or built-in data used. All information obtained from OS only. The locale-dependent information includes character classification (isupper(), islower(), and other isXXX()); character convertion (toupper(), tolower(), strupr(), strlwr()); string sorting (strcoll(), strxfrm(), stricmp()); date & time representation (strftime(), strptime()); monetary formatting (strfmon()); and so on. This C-sources was successfully tested with few versions of Borland C, Microsoft C, Watcom C, DJGPP v2 and can be easy ported on other compilers. Tested in all OS from MS-DOS v3.30 to Windows NT 4.0. ARC-TAN2, LOG, LOG10, EXP, POW, Hyperbolic functions, and FACTORIAL. MAPM x,y; y = 3.2 * sin(x);, etc. License: Freeware for noncommercial use. menu, push button, editable text fields with Cut & Paste capabilities. This packet contains the C source for a mixed-radix FFT routine. It performs a fast discrete Fourier transform (FFT) of a complex sequence, x, of an arbitrary length, n. The output, y, is also a complex sequence of length n.
Requires: PharLap DOS-extender SDK v4.0 or higher. Metaware HighC/C++ v3.0 or higher to recompile. MwCONIO v1.0 is a text console I/O library for Metaware HighC/C++ compiler and Pharlap DOS-extender. The library is fully Borland compatible. Included test program shows that this library is over 100% faster than it's Borland counterpart. Documentation on all functions is provided. All C and ASM sources are included. Author: Mike Marshall, MarshallSoft Computing, Inc.
Watcom C/C++, Borland/Turbo C/C++, MIX Power C, & Microsoft C/C++. Timer Interrupt, increasing its frequency could cause instability. QLIB is an almost complete C LIB replacement for any LIBs you may have. QLIB is 32bit ASM coded for use with DOS extenders. QLIB contains most C functions such as file IO, memory, FILE* streams. Plus more for video, kbd, packed files, compression, etc. QLIB supports Borland C++, Watcom C++, MS Vis C++, MASM, TASM, WASM and NASM. All you need is PMODE/W v1.31+ or DOS/4GW or WDOSX DOS extenders. QLIB also offers a 32bit LE-EXE debugger capable of running under any DPMI host (ie: Win95). ReadIn v1.1 will take the filename given at the command line and convert it into a variable useable by C that you will be able to extract from inside your program (ReadOut source code provided). The major use of this tool for programmers would be to make installation programs that extract multiple files from one executable. Other uses include: extracting graphic files for use in games or title screens, extracting sound files/drivers for programs that use sound, or extracting certain information files that a user would choose from a menu, etc. ReadIn v1.1 is Freeware and may be distributed freely without modification. supports a subset of ANSI 'C' with many 8051 specific extensions. 'C' program on the PC without actually requiring the target hardware. July'97 release of SNIPPETS - public domain/Freeware portable C source code and instructional text. >700 files, approx. 30% PC-specific, the rest portable. The PC-specific functions are system-level utility code - no multimedia or GUI code. Tested on all popular PC compilers plus gcc, SCO, and HP/UX compilers where possible. An eclectic collection containing everything from macros to complete cut-and-paste C code solutions and utilities, along with FAQ and instructional files. To make SNIPPETS, files must: 1) answer a "how do I..." C question, 2) be clever, and/or 3) present a solution to an obscure but knotty problem. Requires: The conversion utility is for DOS only, but can run in a DOS box in other OS's which support it. Requires a virgin copy of snip9611.zip to convert. July '97 release of SNIPDIFF. Delta files and utilities (PC DOS only) to update a virgin copy of snip9611.zip to snip9707.zip. See separate description of snip9707.zip. Note that SNIPDIFF will only work on a unaltered copy of snip9611 since its utilities validate each file from the old archive to assure that the resulting copy of snip9707 is functionally undistinguishable from the master distribution archive. Also note that SNIPDIFF will not work with any previous release of SNIPPETS other than snip9611. Sphinx C-- is a half way point between C and 8086 assembly. This is the final release of Sphinx C--. This package includes the compiler, workbench, examples and source. 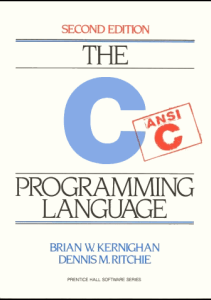 The advantage of using C-- is the creation of very small and tight utilities. The Stellar Game Development Kit is a development library for Watcom C/C++ that aids you in the creation of 2D games. Includes powerful 2D engine library, Map Editor, Sprite Editor, and other utilities. The registered version includes Sound System and High Resolution handler. Fully functional evaluation version of a Watcom C, DOS based SVGA/VESA 2.0/linear frame buffer library. Emphasizes fast, auto animating, auto moving, transparent, light or shadow like sprites (as well as "normal"). Also, 64 channel Sound Blaster support including spooling unlimited size sound effects from disk with minimal memory usage. File formats include PCX, TGA, BMP and WAV support. I/O includes keyboard, mouse, joystick, serial. Miscellaneous mentionables: timer control, 160 manual, utilities and examples. Requires: This version requires a Watcom C/C++ compiler and a DOS-extender such as DOS4GW or PMODEW. VMOUSE v2.2 is a library of code to support the use of mouse cursors in most VGA and SVGA graphics modes. For VESA modes both bank-switched and linear frame buffer modes are supported. Depending on the underlying VESA implementation the cursor library can use 16-color, 256-color, high-color (32k, 64k) and true-color (24-bit, 32-bit pixel) graphics modes. When using a 16-color graphics mode, color reduction is applied if the cursor bitmap in use uses colors from a 256-color palette. This means that a particular application has the flexibility to use both 16-color or 256-color video modes without any code changes. When using high-color or true-color modes the built-in cursor bitmaps are converted so to conform to the graphics mode memory layout in use. A cursor bitmap can use any colors supported by a particular graphics mode, and can be a rectangle of any size. The cursor also includes hot-spot definition. Cursor animation is supported by allowing a series of cursor bitmaps being installed during application run-time as a 'background' process. The VMOUSE library comes with built-in cursors such as left-arrow, hand and cross-bar. A demo program, mus.exe, demonstrates the use of the cursor library. the source is heavily commented and easy to read. Requires: MS C 6.00A or above, MS MASM 6.0 or above. xmmapi is a full implementation of the XMS 2.0 API. It allows programmers to take advantage of extended memory for storing very large data objects without resorting to a DOS extender. The package includes full source in assembler and a test/demo program in C. A link-ready object for large memory model applications is also included. In addition, the package also contains the original Microsoft public-domain distribution of the XMS 2.0 specification with sources, sample code, and extensive documentation. This package is "Freeware" and is released into the public domain with no restrictions. No additional versions planned.